Shot at about 6 pm in the evening at Jharkhand Mahadev Temple in Vaishali Nagar, Jaipur. 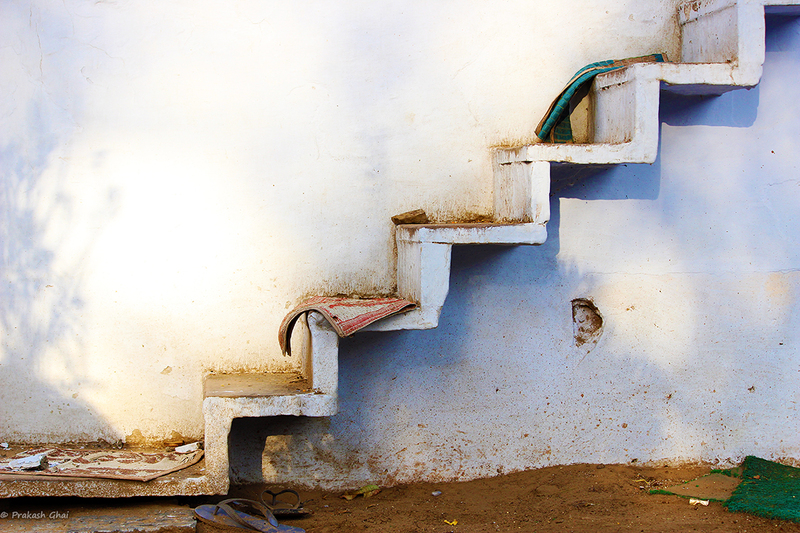 Staircases make for very good Minimal subjects and seem very easy to shoot, but that is not the case. They are very tricky to shoot as you need to take care of the vertical lines, horizontal ones and the diagonal ones usually the rails and of course the symmetry. I would suggest take at least 5-6 shots every time you shoot them.